The field of gene editing is moving fast. In late October, two new papers described technologies that allow for the precise editing of individual DNA bases — an A to a T, a C to a G — and, separately, a mechanism for genetically editing RNA. Both have been heralded as major advances. But let’s back up a bit from the cutting edge tools to its actual application: How is gene editing progressing, in terms of biotech pipelines, investment, and therapeutic approvals? In its recent report, titled Gene Editing: The Next Breakthrough in Regenerative Medicine, Informa Pharma Intelligence answers those questions with a focus on three major existing technologies: CRISPR/Cas9, zinc-finger nucleases (ZFNs), and transcription activator-like effector nucleases (TALENs). All three tools allow scientists to permanently modify an organism’s genome, without introducing foreign DNA. CRISPR/Cas9 has by far attracted the most buzz and investment dollars. According to Informa’s research, close to three-quarters (74 percent) of gene editing programs now use the technique. This, despite the drawn-out patent dispute and the fact that it was harnessed for human genome editing less than five years ago. Even with this dominance, the discovery might quickly become dated, noted Amanda Micklus, principal analyst for Informa Pharma Intelligence. It would also be premature to write-off ZFNs and TALENs, she said. Both technologies have reached human trials, a milestone that none of the CRISPR/Cas9 companies have yet achieved. In terms of investment, all three technologies received backing from Big Pharma between 2012 and 2017, the report highlights. Four of those deals were estimated to be worth more than $1 billion (the financials behind several others were undisclosed). Pfizer tops the list with its 2014 Cellectis partnership, which could be worth up to $3 billion. Servier partnered with Cellectis the same year, in a deal valued at just over $1 billion. In 2015, Vertex closed a $2.6 billion agreement with CRISPR Therapeutics and Shire (working through Baxalta) signed a $1.7 billion CAR-T deal with Precision Biosciences in 2016. When it comes to repeat business, Novartis invested in three gene editing companies during that five-year window. AstraZeneca and Shire also independently penned two separate gene editing agreements. While all of the deals could be characterized as early stage, Sangamo Therapeutics and Cellectis have moved their respective technologies into the clinic. With the intellectual property underpinning ZFN technology, Sangamo Therapeutics has initiated a robust pipeline, targeting diseases ranging from HIV/AIDs to hemophilia A and B. According to the report, five of these candidates progressed into Phase 2 clinical trials. The Richmond, California-based biotech has also entered into agreements with Biogen, Shire, and the CHDI Foundation to co-develop or out-license the technology. Meanwhile, Cellectis appears to be the king of TALEN editing. The decades-old French biotech first licensed the technology in 2012 from Iowa State University. It is now one of the leaders in this field, attracting partnerships with Pfizer and Servier for its work in oncology. Specifically, it’s developing so-called chimeric antigen receptor T-cell (CAR-T) therapies, a key component of CAR-T cell immunotherapies. It has one program in Phase 1 clinical trials. For CRISPR/Cas9, Intellia Therapeutics may be the first to submit an investigational new drug application in the U.S., the authors note, becoming the first to begin human trials. Editas Medicine is close behind, having bumped back its timeline for initial human testing from 2017 to 2018. In vivo work has been done by research institutes in the United States and China, building knowledge in this area while also raising many ethical questions. While an FDA approval is clearly still years away, the issue of pricing is always on the horizon. “It’s going to be a really tough issue for payers to be able to handle these very high priced gene therapies, especially as patients often change insurance companies and move from plan-to-plan. Who’s going to be responsible for those costs?” Micklus declared. Perhaps the model for a gene-editing launch will come through its close relative, gene therapy. FDA is expected to follow the recommendation of its advisory committee and approve Spark Therapeutics’ Luxurna. The novel gene therapy targets a rare disease known as RPE65-mediated inherited retinal disease. Experts expect it to be priced in excess of $500,000. Some analysts are even predicting a $1 million price tag, in line with the first-ever gene therapy approved in Europe, known as Glybera. 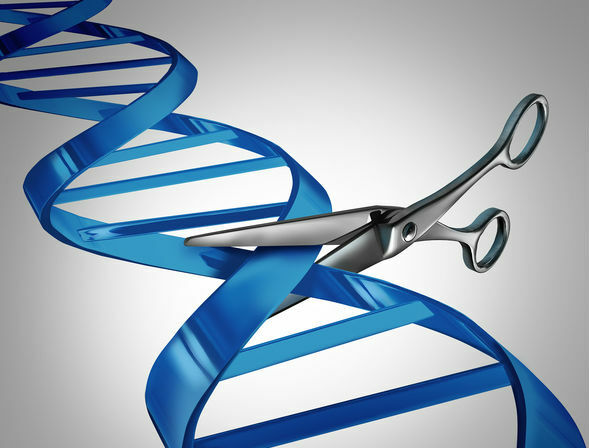 Gene editing may be an exciting new frontier, but it’s going to run into some familiar walls. Learn about how well executives are dealing with value-based care (VBC) models, and what technologies they’re using to achieve their goals. Who’s Ready to Put Their Kid on a Self-Driving School Bus?